How awesome are these leg chains?! I simply love them! You can wear them with shorts, dresses, and even tights/stockings! They are so in right now! My dear friend Liliana makes these beauties - if you're interested in buying one you can contact her at: lilianavictoria@hotmail.co.uk ! The price is = £29 GBP / $48 USD, & worldwide shipping available! 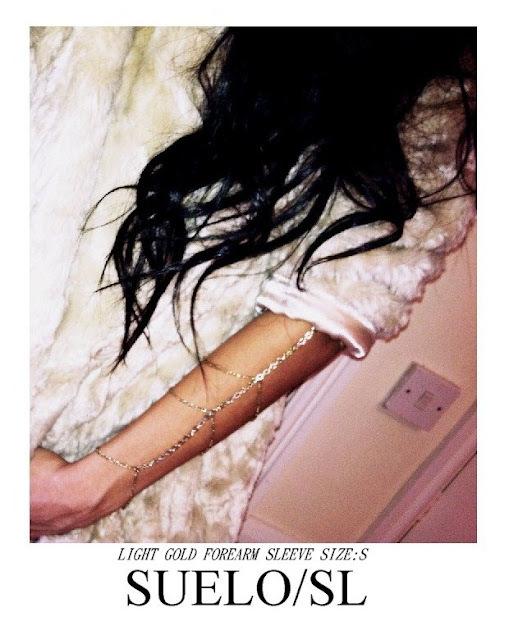 PS - She also makes arm chains now too, which I think are even more amazing, since you can wear them during winter too, like on the picture with this gorgeous fur coat! Love them!